This influential classical work offers a vision of a universe governed by a natural law that obliges us to love mankind and to govern our lives in accordance with the natural order of things. 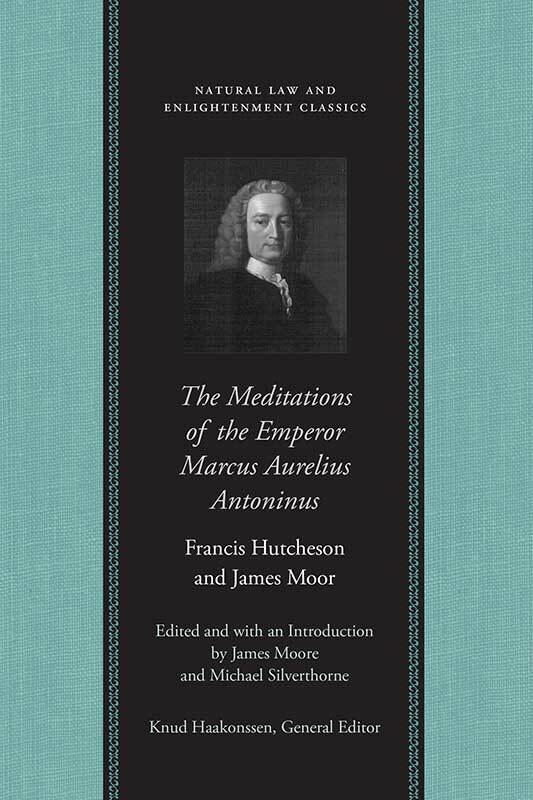 In many ways, Hutcheson and Moor’s The Meditations of the Emperor Marcus Aurelius Antoninus is a companion volume to Hutcheson’s Latin work on ethics, released in the same year, Philosophiae Moralis Institutio Compendiaria. In the latter volume, which is also available from Liberty Fund, Hutcheson continues a theme that proffered his ethics as a modern and, not least, Christianized version of Stoicism. Francis Hutcheson (1694–1746) was educated at the University of Glasgow, where he assumed the chair of moral philosophy in 1729. Introduction, note on the text, endnotes, bibliography, index.